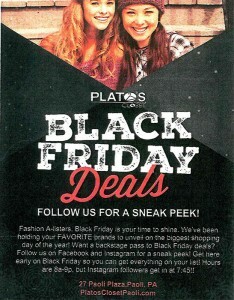 Come out to Plato’s Closet this Black Friday for unbeatable deals. We are saving the BEST OF THE BEST for you, including michael kors, uggs, chanel, lulu lemon, free people, etc. Black Friday hours are 8am-9pm, but Instagram followers can get in at 7:45am. 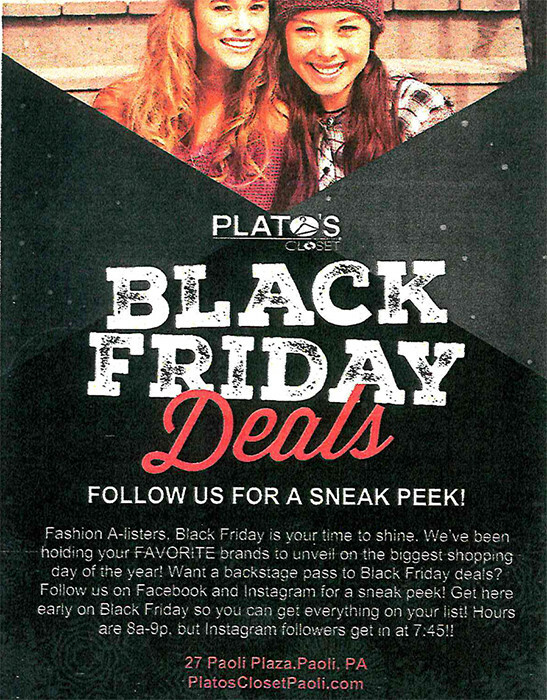 To get the latest updates and previews, follow Plato’s Paoli on Instagram and Facebook.